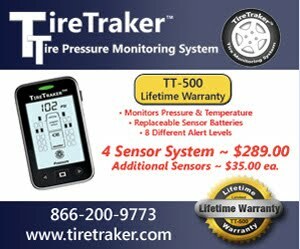 Many have smartly made the move to add a Tire Pressure Monitor System to their RV. While TPMS will not eliminate 100% of the possibilities of having tire failure they can eliminate many "Blowouts" as they can provide warning of air loss. Many times giving the driver an opportunity to pull over in a safe location and to avoid destroying an otherwise potentially repairable tire. One issue with TPMS is battery replacement and battery life. As we all know from personal experience it is almost impossible to accurately predict when a battery will "die". While we might not be able to predict the "when", there are steps that can be taken with external sensors to extend the life of the batteries and possibly prevent having a battery fail and leak and damage the sensor. 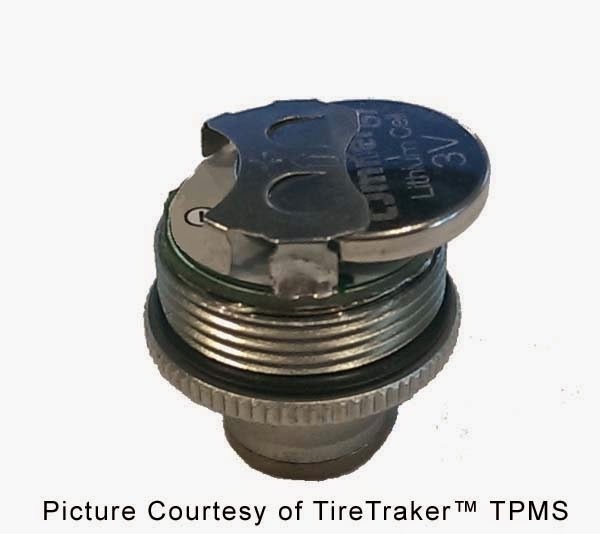 When I was shopping for an External Sensor TPMS to buy, I selected TireTraker. I used the selection criteria I outlined in THIS post. low cost batteries were a major consideration. Now I am not a full timer so my RV is parked for weeks at a time and for months over the Winter here in Ohio. Now while the "Standby" mode of the sensor only draws 500nA so the "life" is not draining out very fast but there is still the potential for the battery to fail and corrosive chemicals to leak out and damaging the sensor. Remember your battery drain rate may be different. Get one of those pill boxes and place a battery from your sensor in each section. I have six sensors so I have space for a new sensor battery as a back-up to the others. Next label each sensor with the position it is associated with. This will eliminate the need to re-calibrate the sensors when you place them back on your RV. This storage approach prevents the metal batteries from shorting out against each other too. Has there ever been a study conducted to determine weather or not tpms have decreased accidents and property damage? If there is a FAVORABLE report on this, we would have heard of it by now; if unfavorable, the manufacturers keep it to themselves and that is called "smart marketing," that is, if it is positive, they will let us know; if not [little return of investment or ROI], they say nothing. It is up to the consumer to figure it out, no TYVM. In fairness, why would any rational entity speak poorly of their own goods, yes? Not necessarily so. In the automotive industry it's common knowledge that oil additives do little or to extend engine life, yet many consumers still buy them. Not that I know of, but it seems obvious that if some people have been alerted to a tire loosing air and that they took action, there must have been a few that prevented a tire failure and we do know that some failures lead to property damage. I do see an increasing number of reports on various RV forums of people being warned of tire air loss. Upon blowing up the battery pic of yours, it looks like a 3V lithium CR2032, which are not cheap unless you know where to buy them e.g. FRY'S Electronics. These are quite common in one’s CMOS battery backup in personal computers. Q: How often do you swap these out on your rig? So far (2 years) no replacement. Another tip. The markings on the outside of the sensors can/will get rubbed off. So, in addition to marking the outside of the sensor, I've also marked the inside of the cap of the sensor (which isn't weather-affected) with its location. Are my tires too old?